Because of SOFIA, our SPOT.ph blogger says we are able to see old, rare and overlooked films. 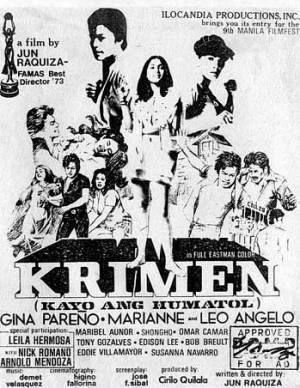 The unparalleled Super Star of Philippine showbiz, Nora Aunor, had a Super Fan named Armando Diaz Jr. Completely devoted and utterly obsessed, Mandy Diaz wrote an essay entitled Himala which opens with a killer line: "Inilagay ko sa aquarium ang sapatos ni Ate Guy." Mr. Diaz details the depth of his fascination for everything Nora, which includes an extensive archive of memorabilia.With painstaking delight, he kept track of her career (starting in 1967, when she was a bit player in All Over the World from Sampaguita Pictures) until he passed away in 2008. Thanks to the efforts of Mr. Diaz, there exists a treasure trove of everything Nora Aunor that many others have used for not only for entertainment and research but inspiration. See how one fan’s personal collection became a rich source of material. Armando Diaz Jr. is an excellent example of why collecting, archiving, and preserving is so important: it links us to the past and provides insight into our culture. Perhaps more importantly, an archive is a source of information that will allow us to re-imagine our nation. A group of similarly devoted and obsessed individuals, the Society of Filipino Archivists for Film (SOFIA), knows just how essential it is to have an archive for Filipino film. Their main goal is to establish a national audio-visual archive which will serve as a repository for the audio-visual heritage of the Philippines. In a country where permanence and preservation are not high on the list of values, this remains a difficult-but not impossible-battle. Last July, SOFIA sponsored a screening of Tisoy! and I cannot recall a more enjoyable film viewing experience. 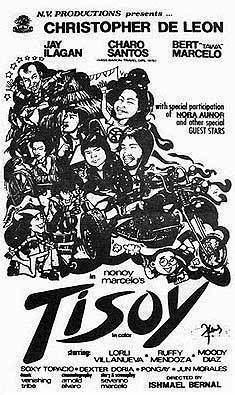 Based on a comic strip by Nonoy Marcelo and directed by Ishmael Bernal, the 1977 film stars Christopher de Leon in the title role, with Charo Santos, Bert "Tawa" Marcelo, Lorli Villanueva, and Soxie Topacio. The venue (Carlos Celdrans apartment-slash-art space in Malate) was filled with enthusiastic folks who watched the film, passed around peanuts, drank beer, laughed at the witty dialogue, and marveled at Manila in the late 70s. It was an interested and appreciative audience that night - if only this audience could reach critical mass and truly revitalize Philippine cinema. The "Overlooked Films, Underrated Filmmakers" series from SOFIA will screen at the Tanghalang Manuel Conde (Dream Theater) of the Cultural Center of the Philippines, 2 -5 .pm. The screenings are free! For more information, email to sofiaphils@gmail.com or contact (0920) 283-6393. 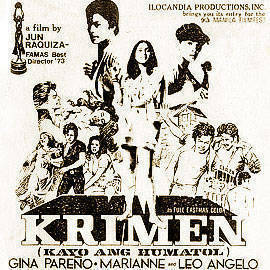 Posters from SOFIA, Nora Aunor photo from Mandy Diaz’s blog.